This is the second title in the Everyday Scenes from Parallel Worlds series. 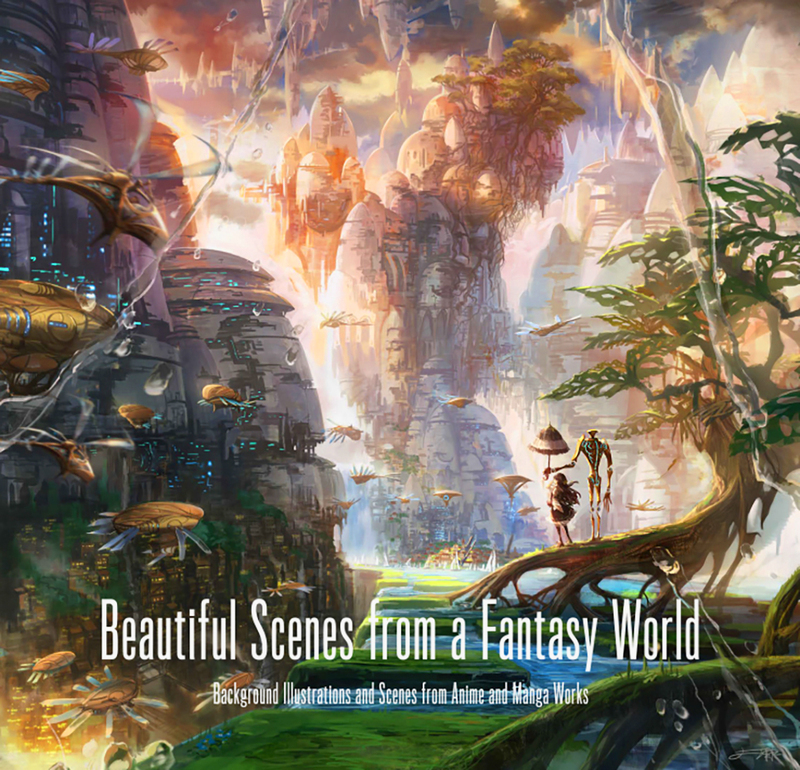 It showcases background artworks featuring fantasy worlds: celestial castles, pirate ships sailing through the clouds, retro-futuristic inventions, deserted architectural spaces, towns that have sunk under the ocean, an enchanted forest and a space locomotive that runs in neo-futuristic world. Featuring only a few anthro angels, dragons and other imaginary animals, attention is focused primarily on the beauty of the illustrated backgrounds. The fantasy illustrations in this collection are beyond your wildest imaginings and will surprise and inspire all kinds of art lovers. It might even make you look at the world differently after reading it. The works featured in this title are by 32 well-known Japanese creators, illustrators and animators.